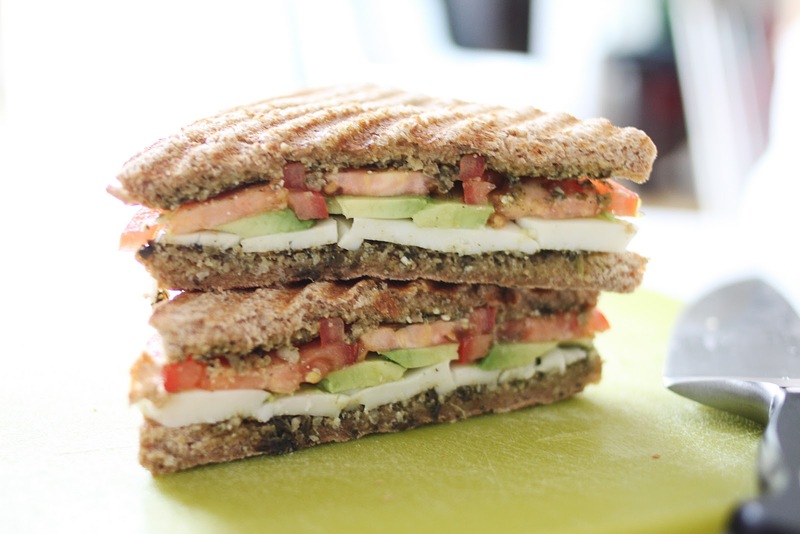 Build your sandwich and put it in your panini maker for roughly 2-2 1/2 minutes. Cut in half and enjoy! Hmm, usually I'm with Kimble, but the tomato kinda looks like meat in this sandwich, so I think it's okay. Looks delicious!